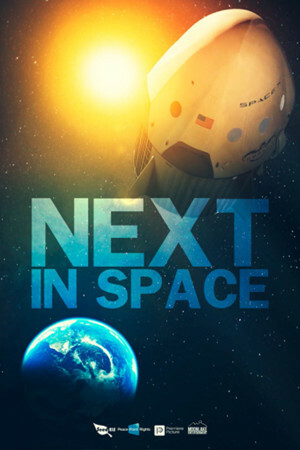 Next in Space will pick up where “IN SPACE – part one” ended. Rosetta’s lander Philae reached the comet and started to it’s scientific work and send back it’s data over a distance of 500 Million kilometers to earth. The experts from part one in particular Matt Taylor, our scientific advisor, will tell us the findings of the mission. We will also revisit the private entrepreneurs in the likes of Elon Musk and Richard Branson and see what one of the fastest growing high-end industries is all about. More and more companies push into space and they create an enormous amount of jobs all over the world. Flying to and landing on a comet was one thing, but what NASA is currently planning is even more out of a SciFi novel. Catching an asteroid, flying it to the moon to put it in orbit for exploration sounds crazy, but we will talk to the masterminds behind this operation. Charles Bolden the current Administrator of NASA calls this mission the first steps to the ultimate goal of a manned mission to Mars, which will also be a race between private companies and governmental agencies. Next In Space will feature even more stunning graphics and animations than the first part. We will pick up where we had to leave the audience in part one since science; especially science in space needs time. We will also catch up with one of our stars from part one – the ISS astronaut Alexander Gerst. We will hear from him and talk about his next adventures on or above earth. With the full support of ESA and NASA we will be able to present the findings in this second part.